István Szakáts is an artist, curator, cultural producer and an active citizen of Cluj-Napoca. He has been advocating for empowerment through culture, socially engaged art and active citizenship for more than 20 years. As a multimedia artist, István has co-designed and produced a series of works including Samples – a sequel of mixed reality performances in public space on citizen rights, empowerment and reappropriation of public space, included in the programmes of several European Capitals of Culture (Istanbul, Pécs, Mons). He has taught various media related disciplines at the Cinema, Media and Television Department of the Babes-Bolyai University in Cluj-Napoca and the Sapientia University from 2005-2015. István holds a university degree in Fine Arts (2003) and Computer Sciences (1992). 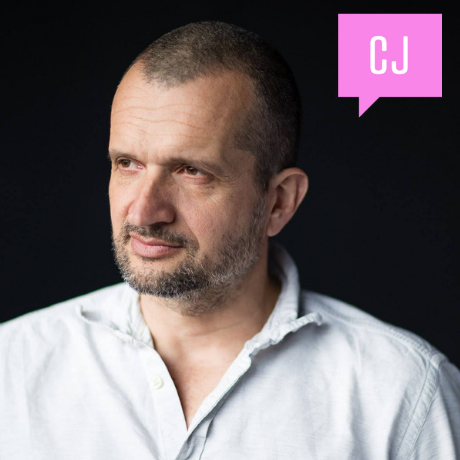 István has been actively involved in projects and actions for the Pata Rât Roma community from Cluj and in 2017 he directed the documentary Pata-Cluj. The film follows the unfolding of Pata-Cluj - a two and a half year social intervention project financed by the Norwegian Funds. By focusing on the context of personal and institutional relationships surrounding the project, the film contributes to a better understanding of what makes social integration projects both necessary and difficult.